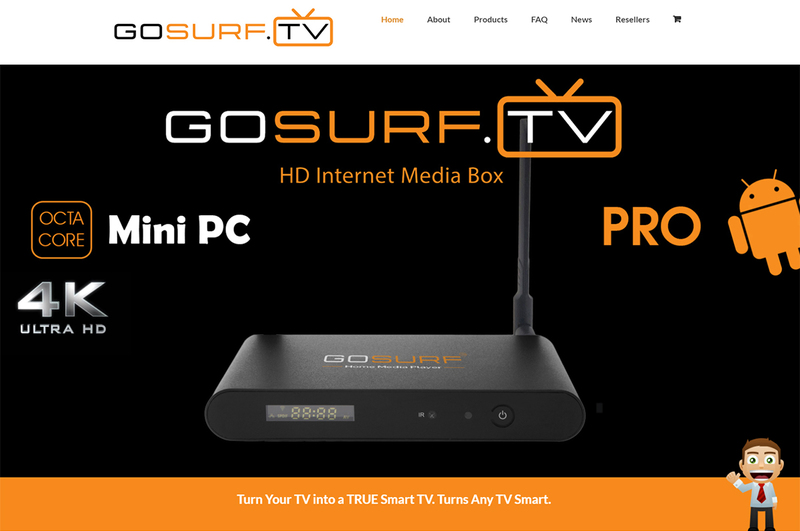 GoSurf.TV supplies one of the internet’s hottest selling smart media devices, and they came to NTR Imagescapes to put together the website. They wanted it to represent their brand, look slick, and above all else, provide plenty of information about their product to customers. Additionally, they decided to add a shopping cart to the site, so naturally we went with the always versatile, WooCommerce.